Today, another in a long string of really, really cold days this winter, was spent doing kitchen-y things. My wonderful husband made us some racks to hold our spices. 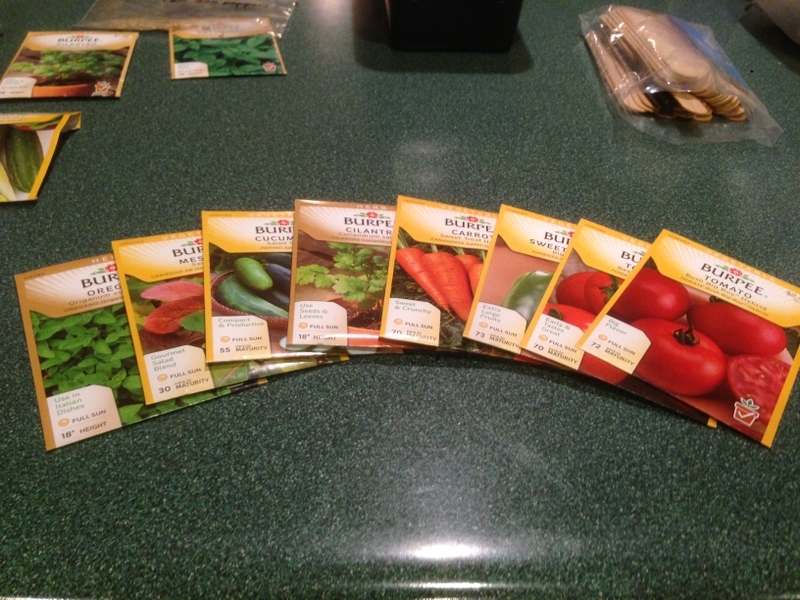 We are both cooking enthusiasts and have built up quite the spice collection. 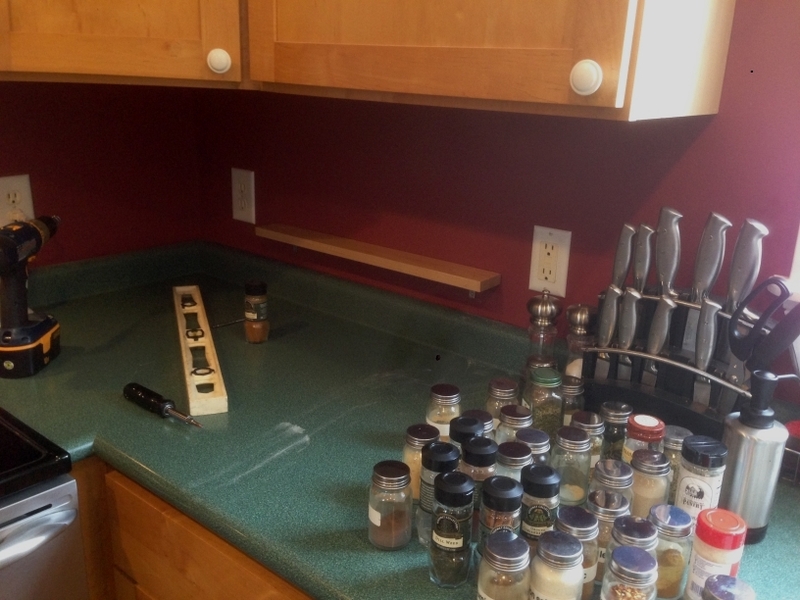 He’s been sorting out the junk in the basement from when we moved in a couple of years ago, and measuring the space, in preparation for remodeling the basement, and he found some extra wood matching the kitchen cabinets and cut a couple of pieces to make some spice shelves. We have made good use of this plant. It sits right on the kitchen window sill and whenever we are making pasta sauce, it’s easy enough to just pinch a few leaves off…adds so much good, fresh flavor! 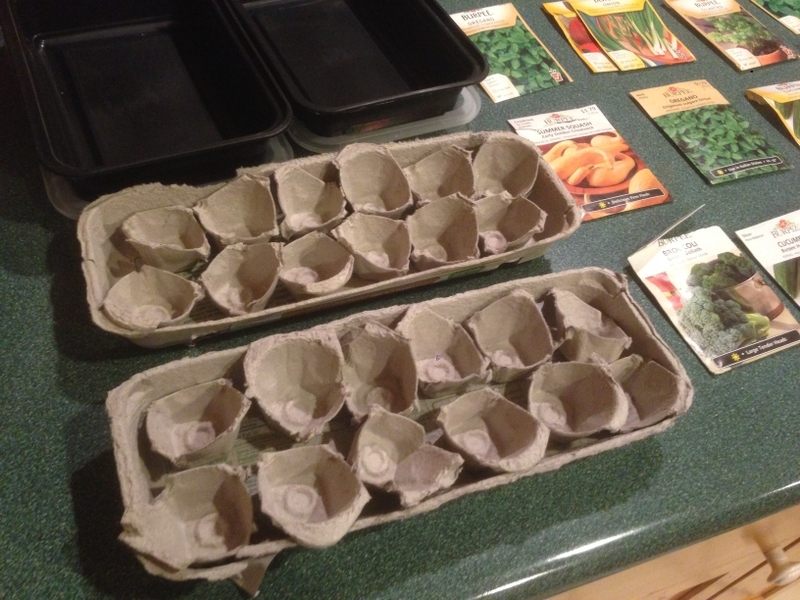 This entry was posted in Blog Update and tagged cooking, garden, herbs, kitchen, seeds, spices. Bookmark the permalink. Love your spice racks! Good job to Eric! 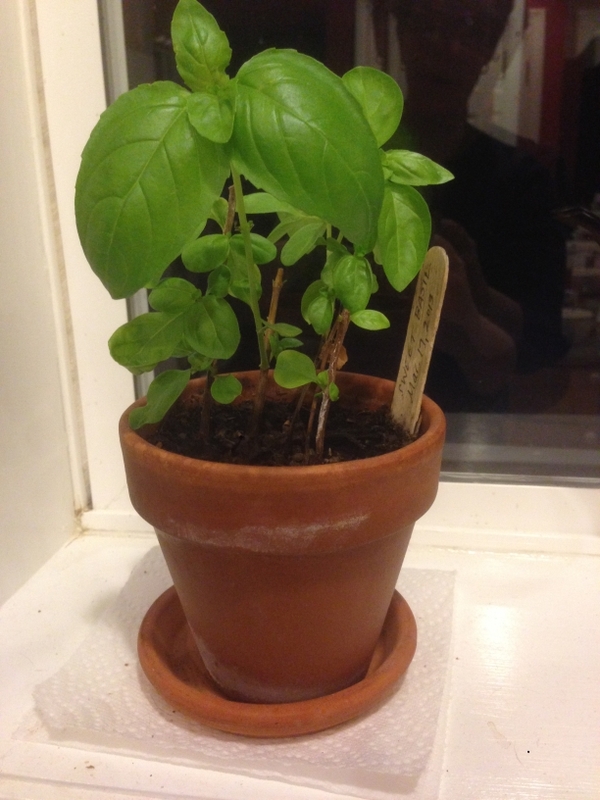 Go Basil plant! Thanks! 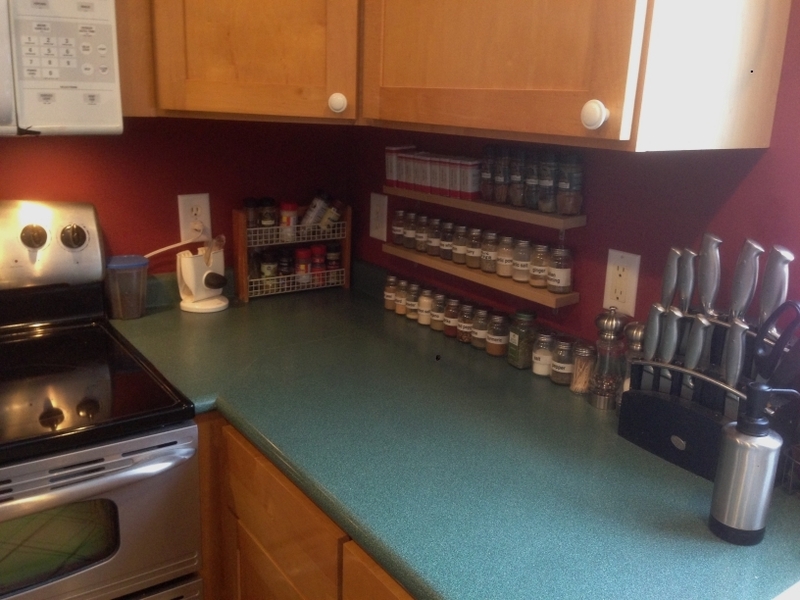 It’s been so convenient having the spices so accessible.